Hello! 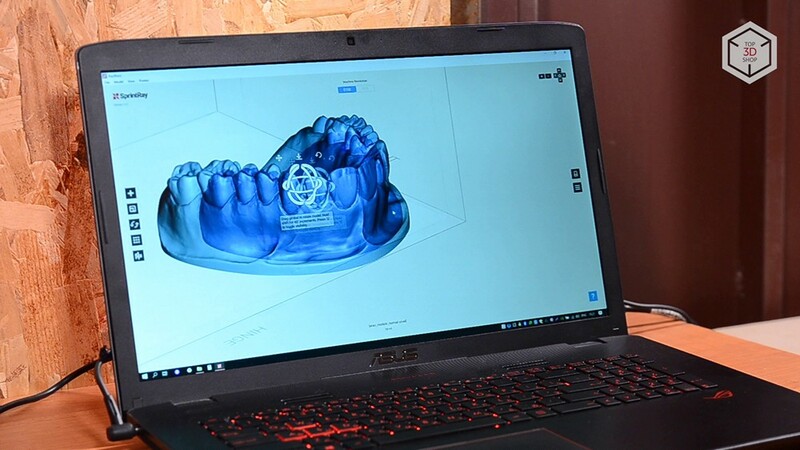 With you, the Top 3D Shop and today we will tell you about the newest dental 3D printer SprintRay MoonRay S10? 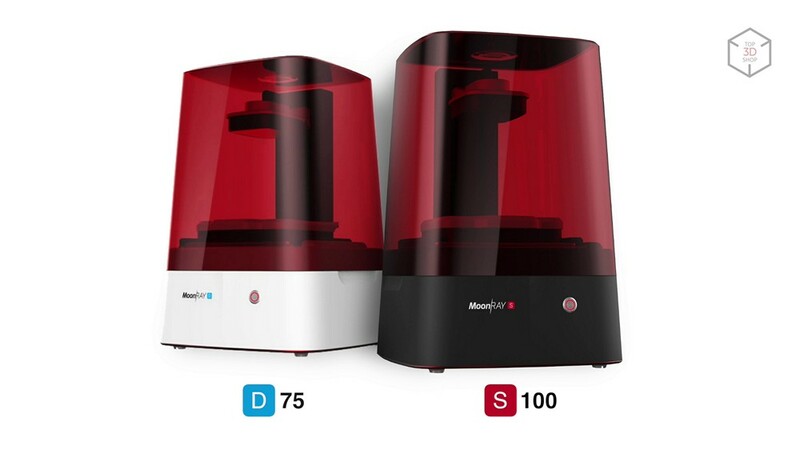 it's just MoonRay S .
collected then 42?000 dollars to create, as claimed, "the world's best desktop DLP printer." 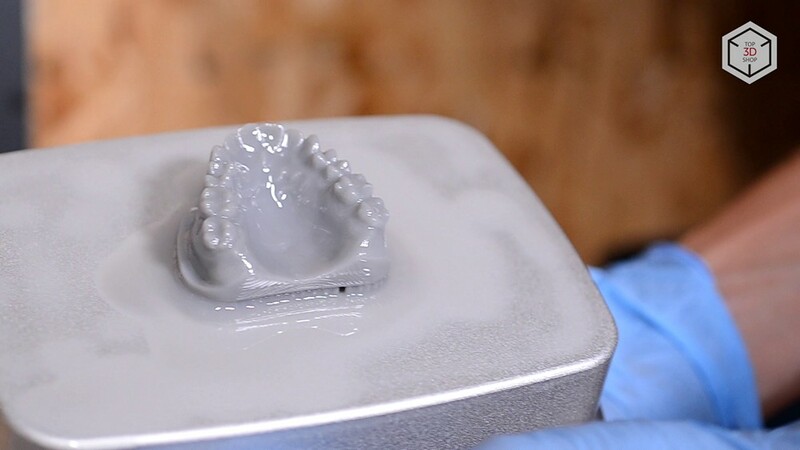 As you know, nothing is perfect in this world, but the engineers at SprintRay really managed to create an excellent 3D printer. More precisely, even two: with indices S and D. Full names of models: S100 and D75. 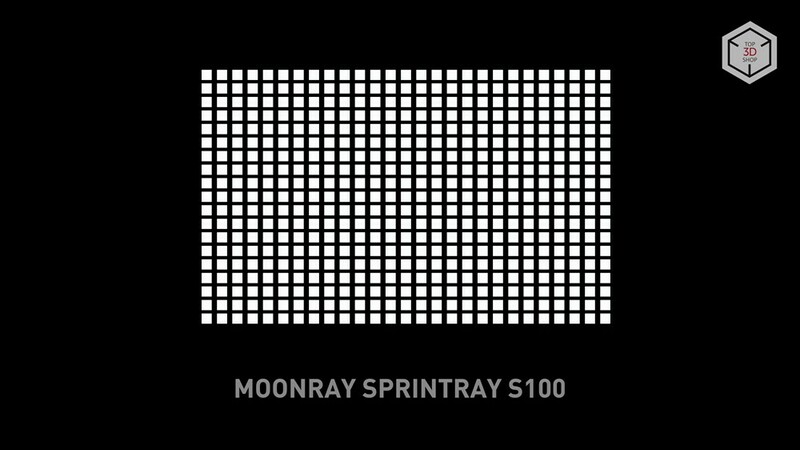 In the review we talk about SprintRay MoonRay S100 . 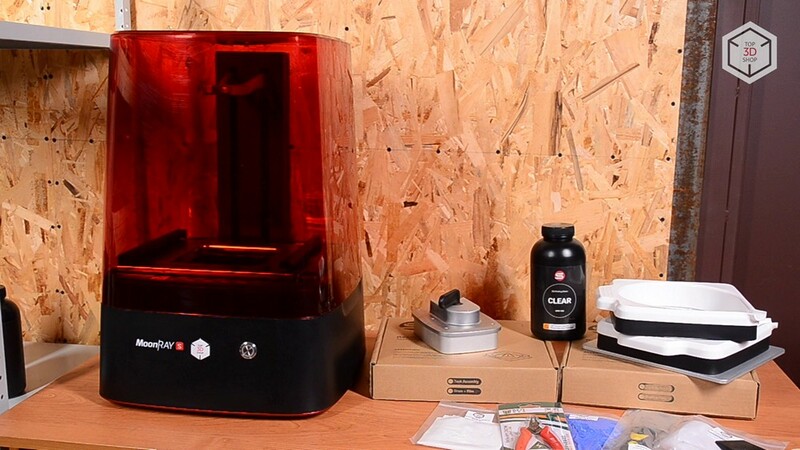 The standard kit includes: a printer, a photopolymer bath, a replaceable bath insert, a working platform, a standard photopolymer liter and a post-processing kit. And, of course, the power cable and ethernet cable. 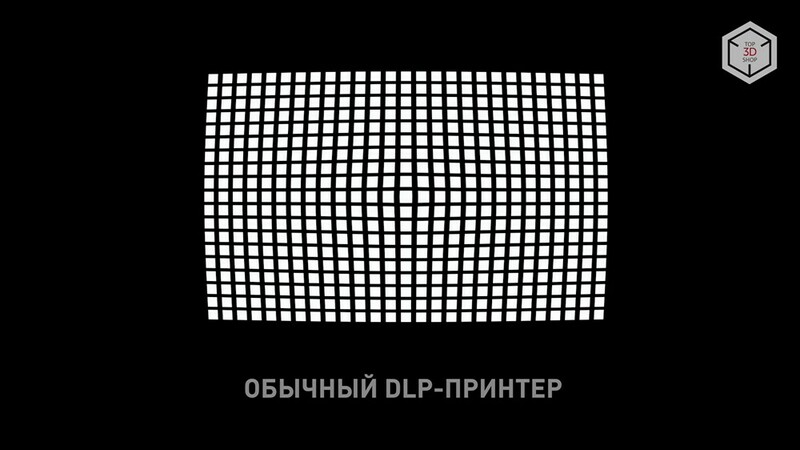 The basis of any DLP-printer is a projector. 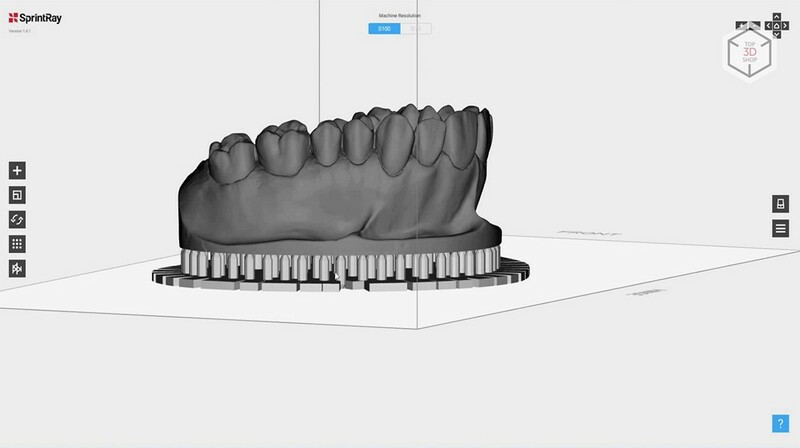 It layer-by-layer shows the photopolymer in the bath, layer by layer forming the given model. 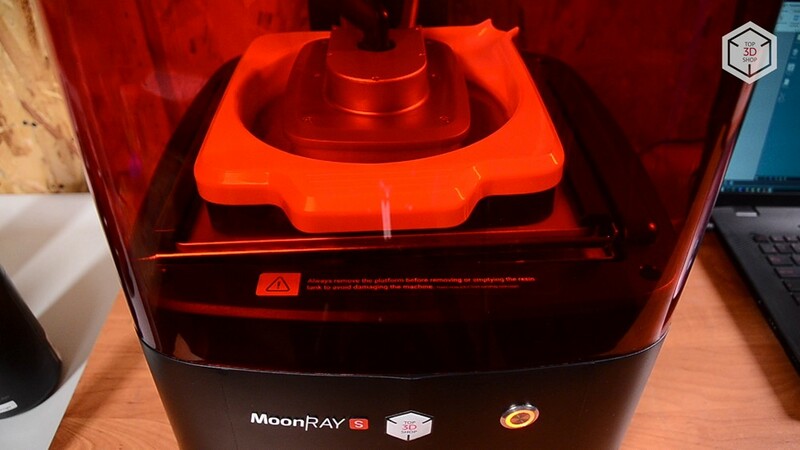 In the Moonray projector - it uses a specially designed module RayOne, ultraviolet radiation which has a wavelength of 405 nanometers. Own development SprintRay increases the accuracy of each location in the projection, reducing spatial distortion. 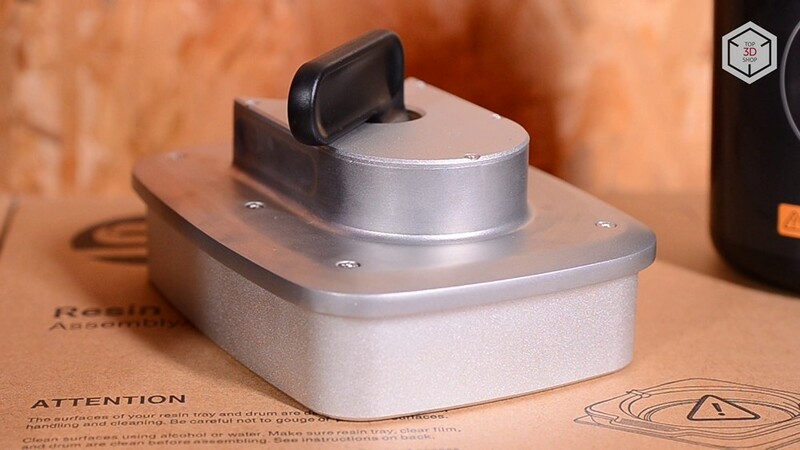 Bath For the polymer in the printers MoonRay does not require replacement. 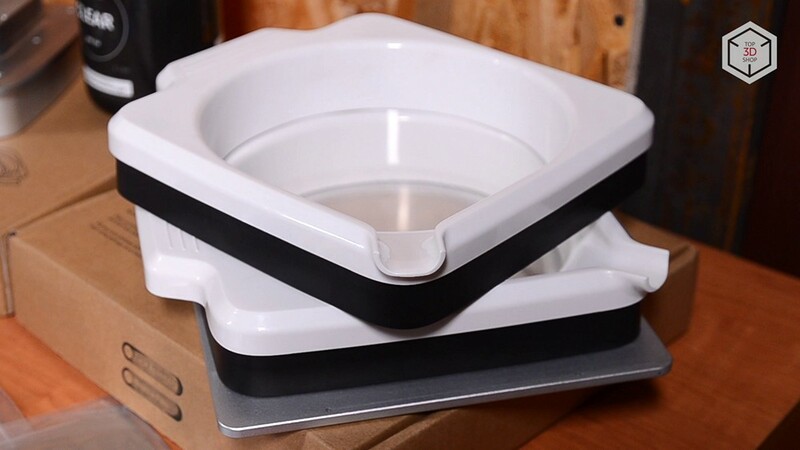 Of course, the phrase Say Goodbye to Consumable Tanks, "say goodbye to change baths," is an advertising exaggeration, you can not do without consumables, but you will have to replace only inexpensive insert , each of which is calculated somewhere in 50 liters of photopolymer. 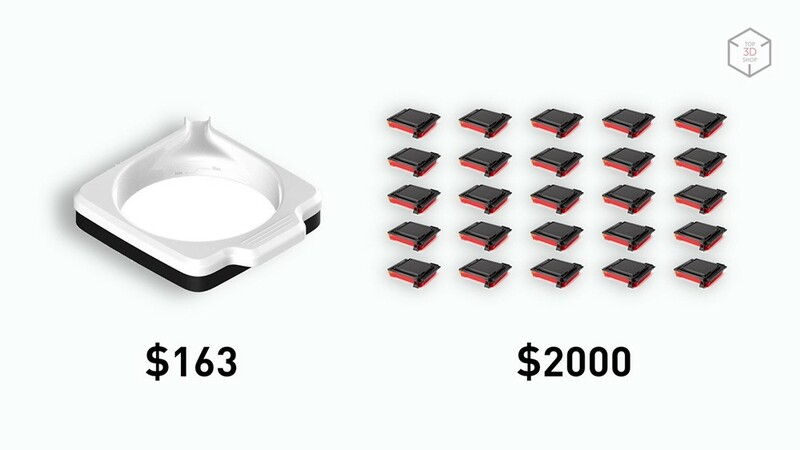 As calculated in SprintRay, this is 25 times more than the resource of the trays of other DLP and SLA-printers. When ordering in the Top 3D Shop, the replacement insert will cost you $ 163. The software for MoonRay, Rayware, was also developed in the walls of SprintRay. This is a simple and convenient software that works under Mac OS and Windows. One of the nice sides of RayWare is the flexible work with support. 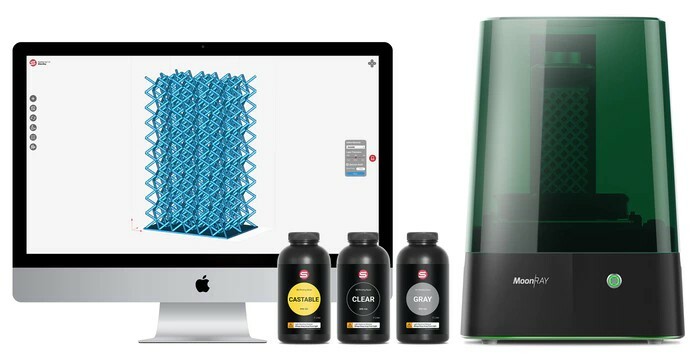 In the automatic generation mode, you can even save on the resin - the developer's site claims that the algorithm used by the slicer reduces the number of supports by 30% of the usual. 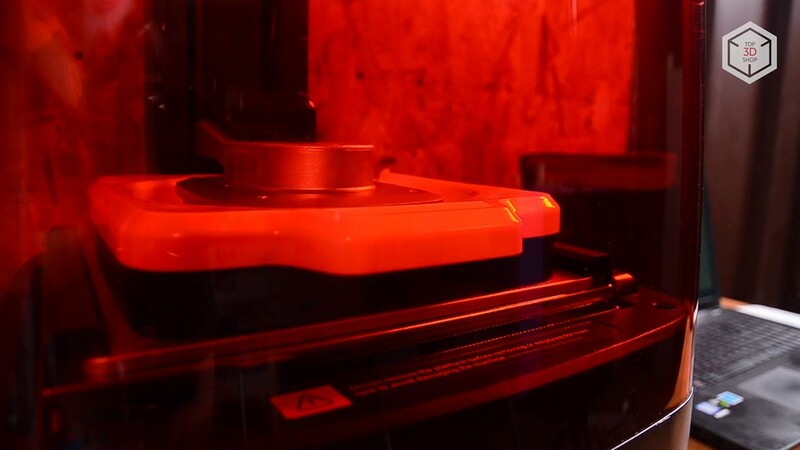 At the output, we can quickly remove the supports after printing, with minimal post-processing. 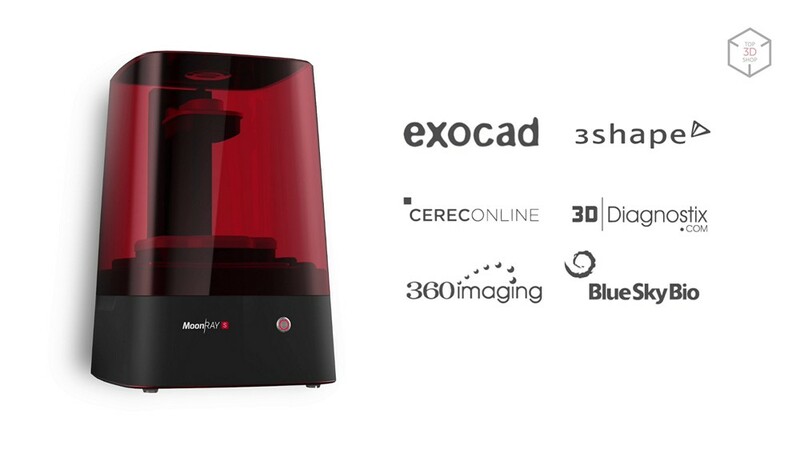 In addition, MoonRay is compatible with third-party popular 3D software for dentists - there will be no problems with either software from Exocad, or with 3Shape. 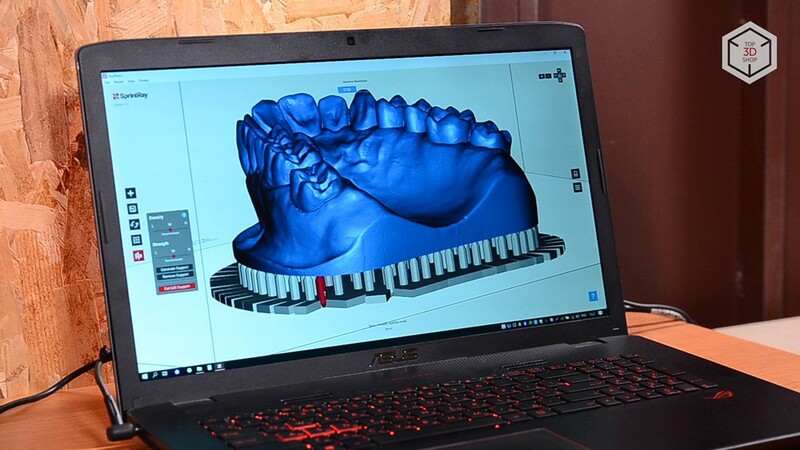 It is possible to print parts up to 20 centimeters in height, but the developer positions his equipment exactly as a dental unit. The bath, after the exposure of each layer, tilts to a certain angle. 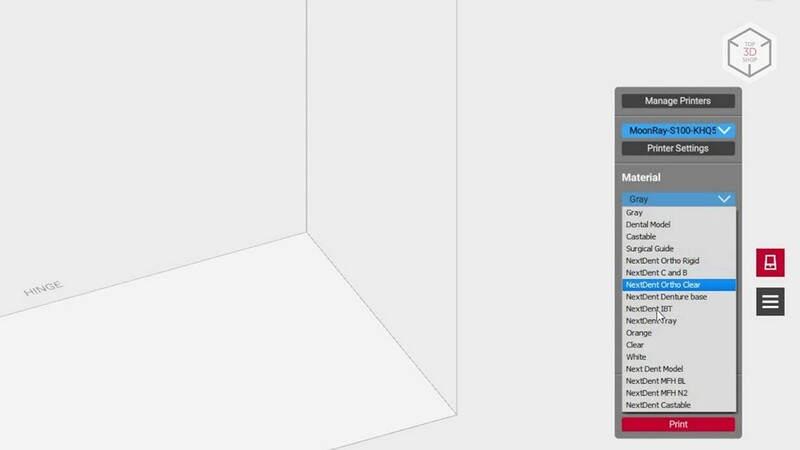 This makes it possible to reduce defects on the surface of the model along the Z axis. 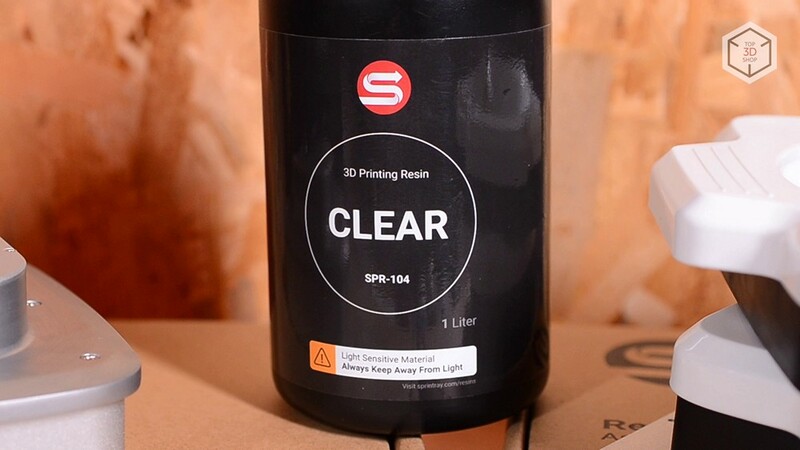 The key point for each photopolymer printer is the range of supported materials. 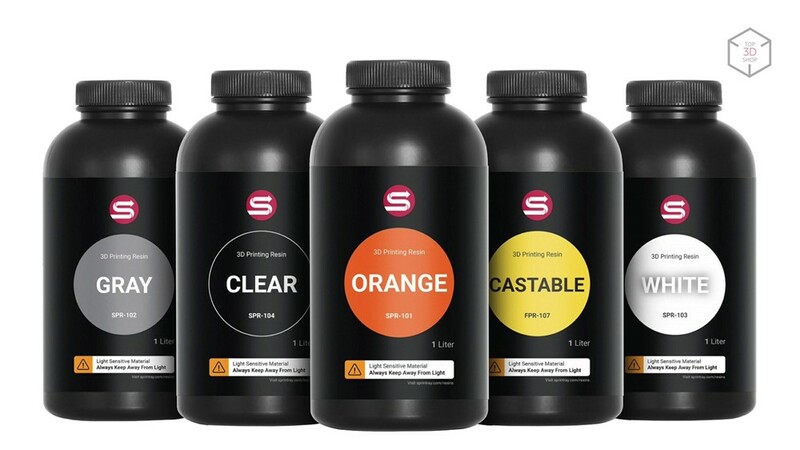 SprintRay releases the line own photopolymers . 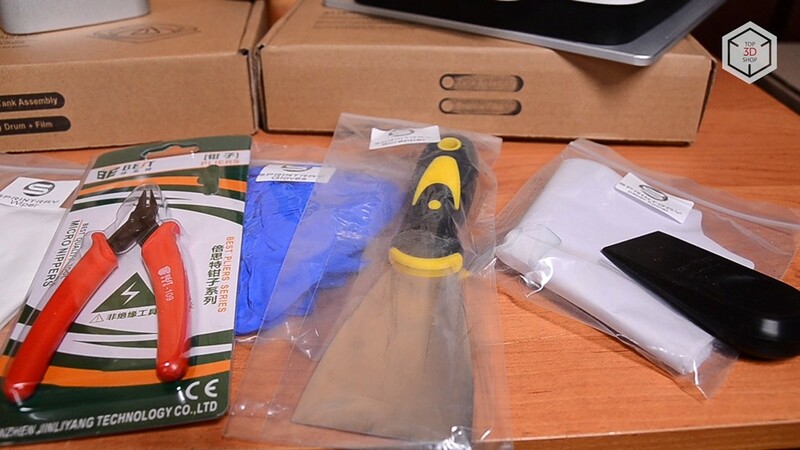 It includes both standard resin of different colors, it is transparent, white, green and orange, and burnt resin for casting, as well as a gray polymer for modeling. 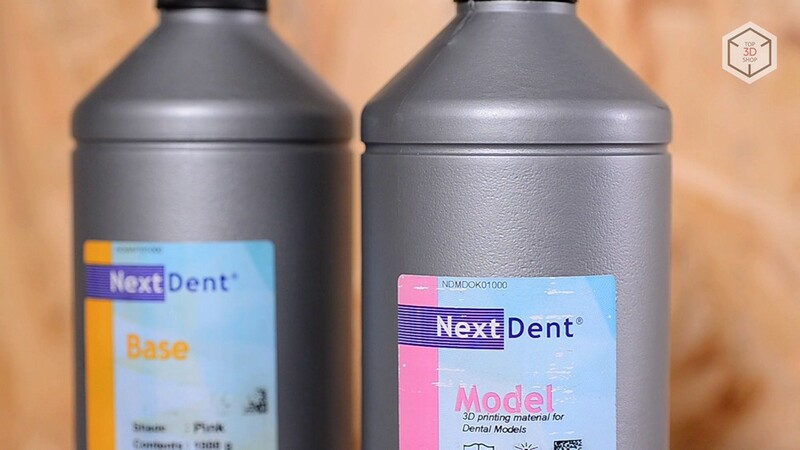 More importantly: MoonRay supports professional dental materials NextDent , directly "out of the box". The software has already integrated a set of corresponding profiles. A very commendable decision - large players usually "tie" the user to the materials of their own design. 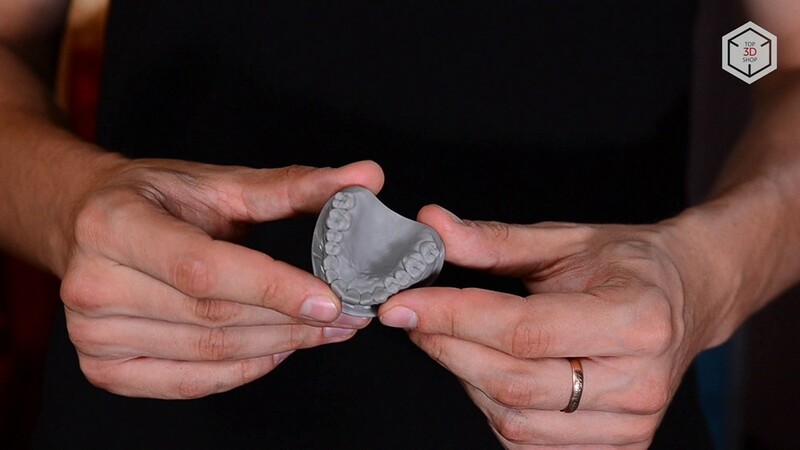 High accuracy and speed of the printer, as well as the use of certified materials, can significantly speed up the work processes: the creation of surgical templates and dental models, eliners and cap, bridges and crowns now takes a few hours. Costs also decrease: according to SprintRay, a specialist using MoonRay can reduce the cost of treatment with e-mailers in 3-5 times. 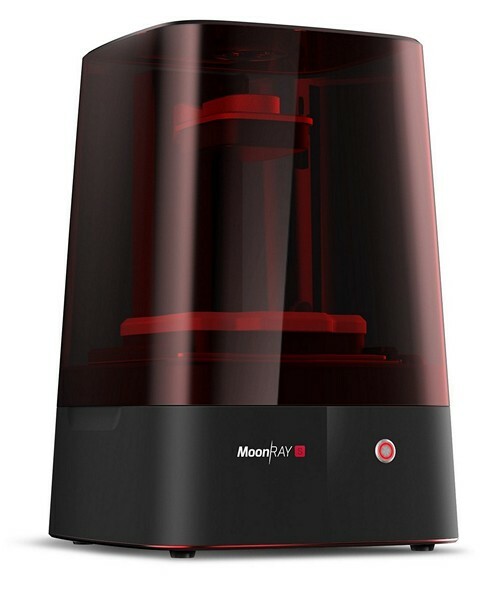 Preparation for printing and printing on MoonRay will not cause difficulties, everything is quite simple. You just need to replace the bathtub. 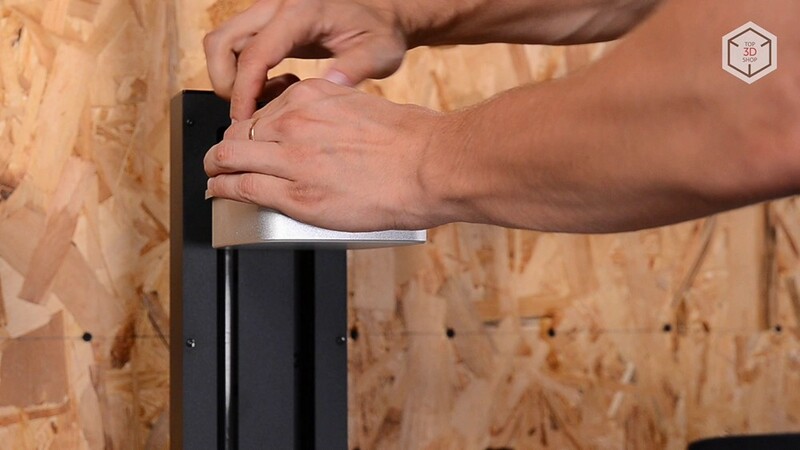 Put the cover in place and start printing. At the end of the process, it will only be necessary to remove the model from the platform, wash it and separate the support. 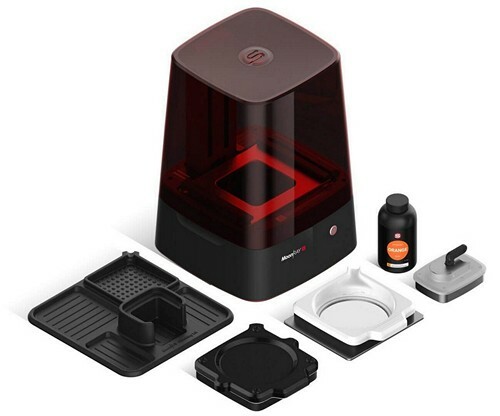 SprintRay's project "shot" at Kickstarter, now the flagship of Formlabs has a serious competitor. MoonRay prints literally out of the box. And its main advantage is stable work with certified and proven dental photopolymers. 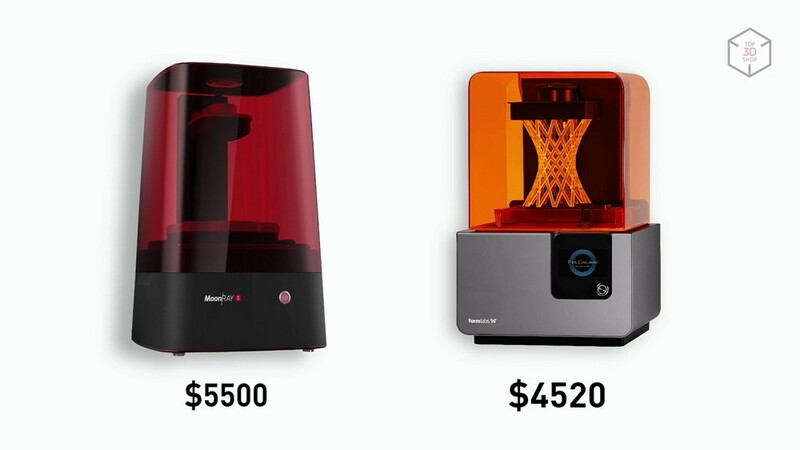 An attentive reader will note that MoonRay costs more than Form2 . All right. 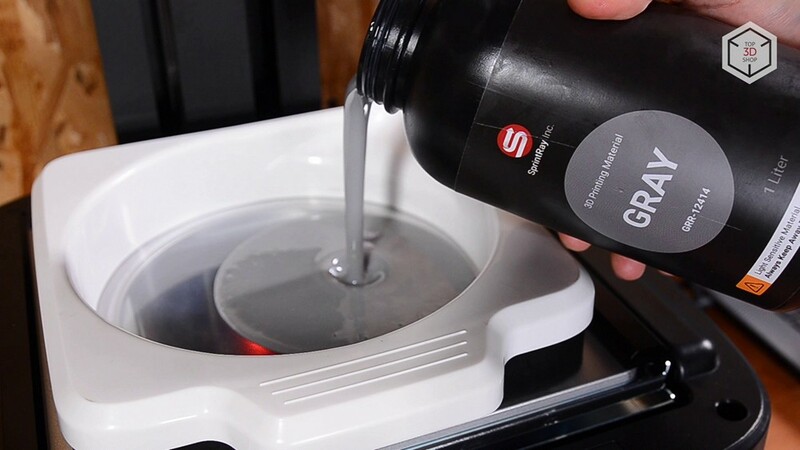 The subtlety is that the S100 is cheaper to maintain: you only have to change inserts designed for 50 liters of photopolymer, and not the entire bathtub - a new product from SprintRay will pay off faster than the Formlabs printer. 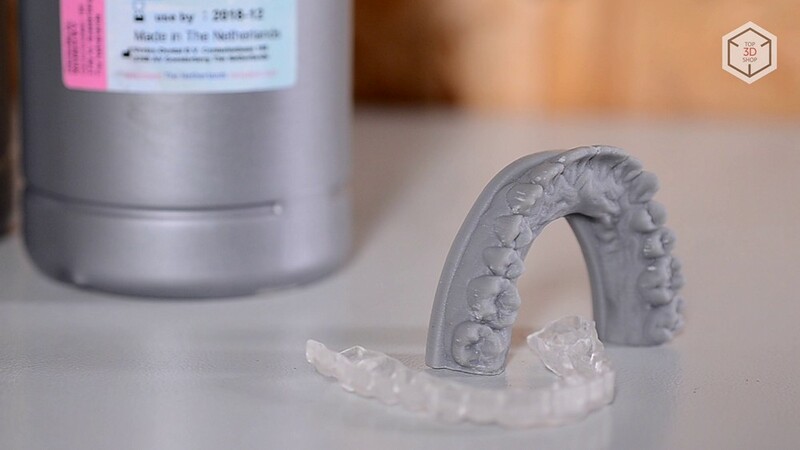 SprintRay MoonRay S100 - a very promising dental 3D printer. 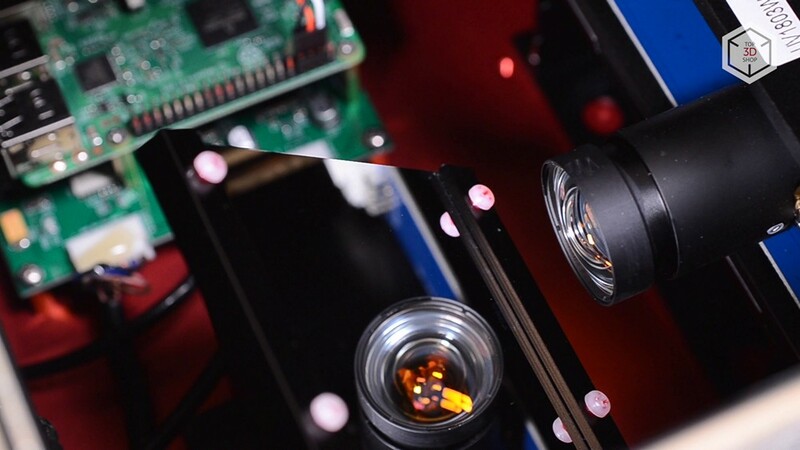 Its characteristics and cost of ownership, as well as "imprisonment" for special materials, suggest that it will be a serious competitor to Form ? especially in the dental area. 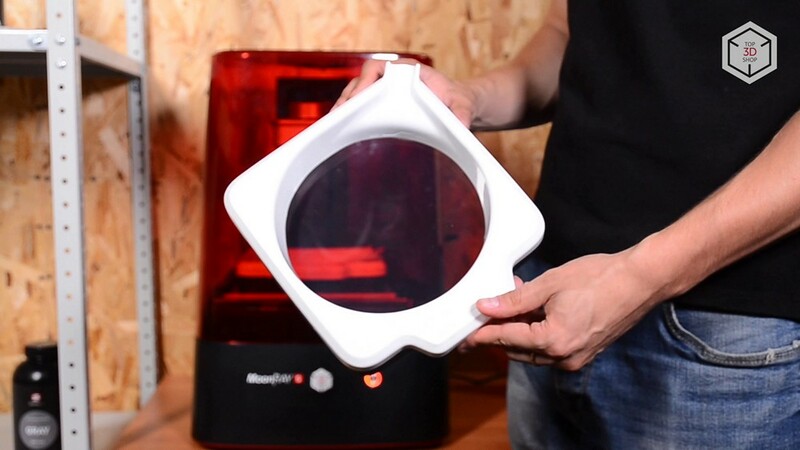 Buy DLP-printer SprintRay MoonRay S100 and pick up the necessary materials for printing you can in Top 3D Shop . Subscribe to our channel , so as not to miss the new interesting video, comment, put laiki, read the news on social networks. 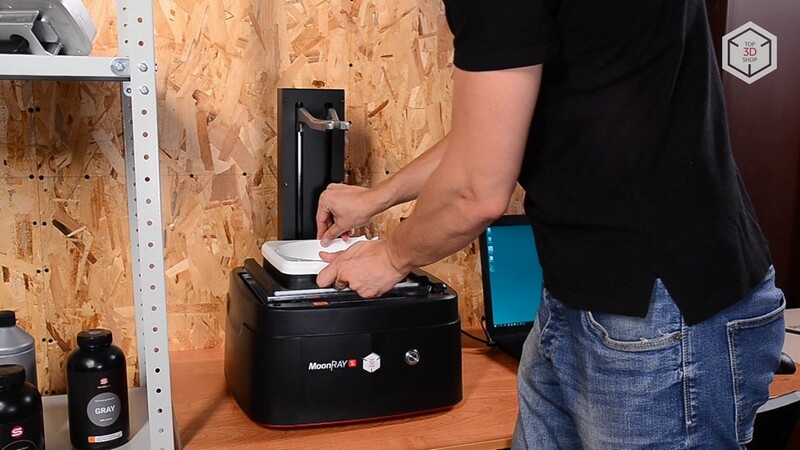 You can learn more about 3D printing and 3D-printers on our master classes : each printer buyer receives the right to a free visit to the master class, for the rest it will cost 2000 rubles. On September 2? the master classes Top 3D Shop are free for all: within the framework of the exhibition-conference " Top 3D Expo. Digital Education 2018 »You can visit at once three different master-classes. More information at site Events. 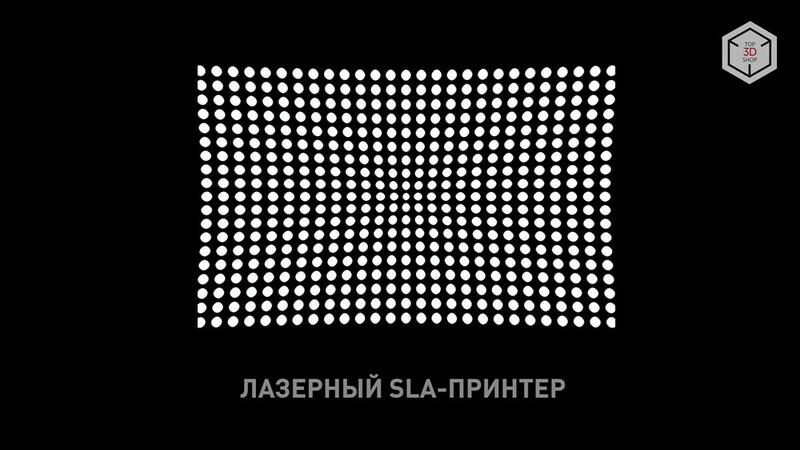 The very visit to the exhibition is also free, but it requires preliminary registration . The number of seats is limited, please sign up! 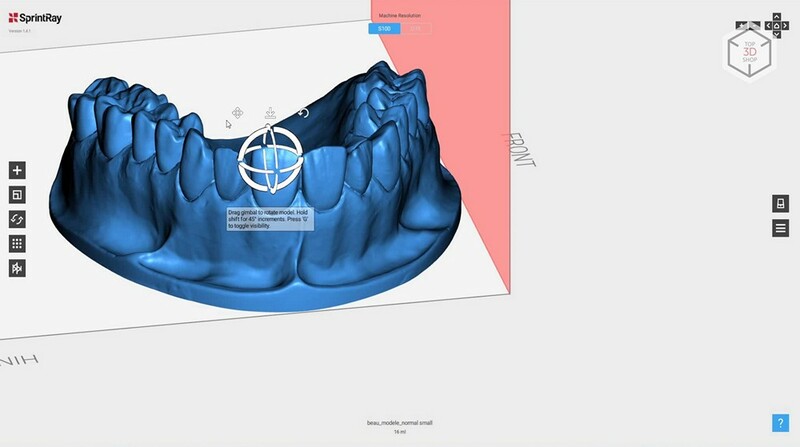 Want more interesting news from the world of 3D technology? 22/06/2018 Why 2 extruders in a 3D printer?